New Delhi : In a flip-flop, Congress first denied Rahul Gandhi's meeting with Chinese envoy over Sikkim standoff, which the party later accepted. “Envoys met Rahul Gandhi ji, not only Chinese envoy but also Bhutanese envoy and ex-NSA Shiv Shankar Menon,” Congress spokesperson Randeep Surjewala Said. 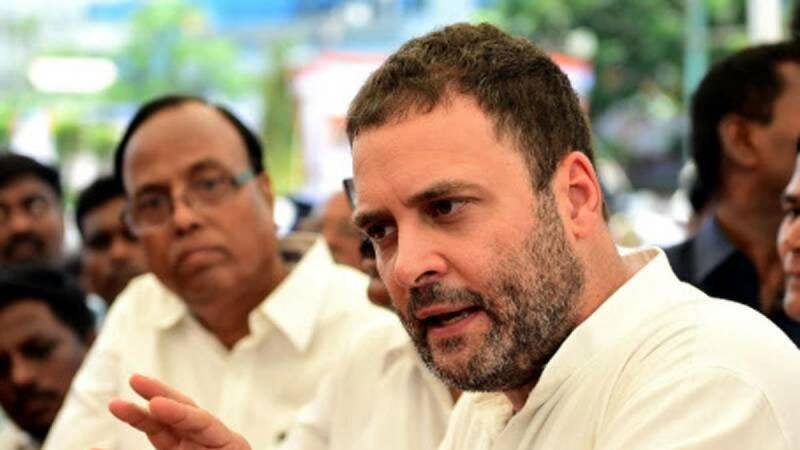 Earlier on Monday, Congress had denied media reports and had called them "fake news" that its Vice President Rahul Gandhi met a Chinese envoy here amid the China-India border stand off at Doklam in Sikkim. Congress spokesperson Randeep Singh Surjewala in a series of tweets said some news channels were running "fake news" on Gandhi's alleged meeting with Chinese Ambassador Luo Zhaohui. He alleged that the report was planted by External Affairs Ministry and Intelligence Bureau sources.